Meticulously maintained, exquisitely remodeled, true turn-key lock and leave two-story end unit with a full, open basement. Newer Carpet, Newer Windows & Sliding Glass Door, Hickory Hardwood Flooring and Freshly Painted. Updated gourmet kitchen with stainless steel appliances, granite counter tops and built-in planning desk. Warm and inviting great room with custom built-ins and gas-log fireplace. Spacious formal dining room with wainscoting opens onto a private patio. Richly appointed master suite complete with its own balcony, huge walk-in closet and three-quarter bathroom. Two guest bedrooms are serviced by a full bath with tile flooring. Reserved covered carport, lower level laundry plus a fabulous location! 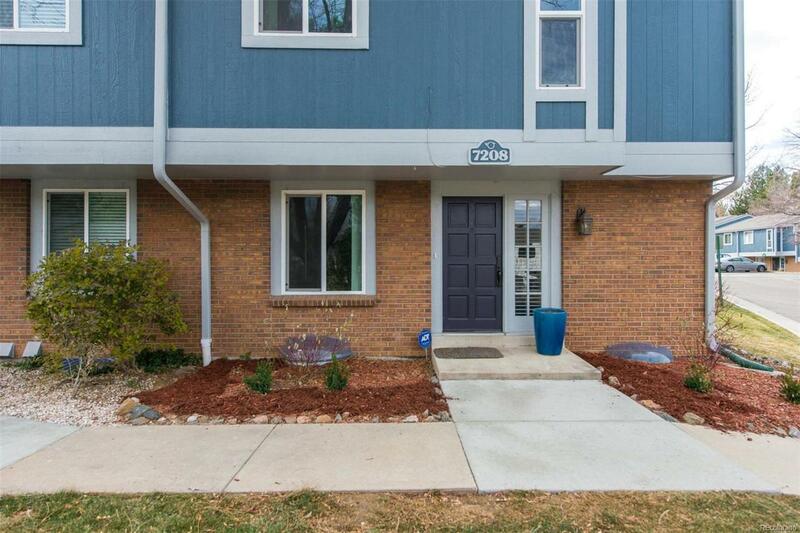 Walk to restaurants, close to I-25, schools, shopping, DTC, light rail. Community pool/tennis courts. ROOF, EXTERIOR PAINT/CAULK (by HOA), 2016. 2018 Electric - $88/month. Gas/Water - paid by HOA.